I just saw the following notice which is relevant to donors to Gospel for Asia. The claims process for the $37 million settlement in Murphy v. GFA is now open. Pursuant to the proposed class action settlement with Gospel for Asia (and the individual defendants), the claims process is now open. Class members should have received individual notice by mail and/or email from the Settlement Administrator, Heffler Claims Group. Both ask you to agree or disagree with the list of donations (provided to the Settlement Administrator from GFA) on the website. To review the list, click on the “Donations List” tab on the website and insert your Class Member ID (found on your claim form). If you cannot find your Class Member ID, you may contact the Settlement Administrator using the appropriate prompts on the website. Importantly, the claim deadline is July 11, 2019. Should you have any questions, you may contact the Settlement Administrator at (844) 367-8894. Funds may be recovered via this action and donated to another organization. If you need a reminder of the problems at GFA, please see this post (and this one) and re-read the report of the Evangelical Council for Financial Accountability. Remember that the ECFA removed GFA from membership in October 2015 due to multiple violations of financial standards. GFA promised to seek reinstatement. However, it is now 2019 and GFA still has not done so. Bruce Morrison is a pastor in Nova Scotia, CA and a former Gospel for Asia supporter. In recent years, he has actively sought to bring to light GFA’s practices regarding fund raising and spending. In this guest post, Morrison documents and describes the path of funds from Canadian donors to India and then the Wills Point, TX where they were spent to complete the GFA headquarters. The routing of money from Canadian donors who thought they were spending money to help poor India people to the Wills Point campus should be of interest to Canadian authorities. It makes me think that the source of funds to pay the court settlement will likely come from Canadian donors. Thanks to Rev. Morrison for this analysis. Bland Garvey CPA, from Richardson, TX, was the accounting and auditing firm that prepared the financial statements for GFA-US in 2013. In their audit notes they stated that $19.8 million was received from an anonymous donor to help fund the construction of the new GFA head office complex in Wills Point, TX. Later, it was disclosed that this money did not come from an anonymous donor, but instead came from Believers Church in India. Apparently, the auditors did not research the validity of what they had been told by GFA as one would expect, especially given the large amount of money involved. The idea that money sent to India designated to spread the gospel and help the poor was later returned to the US for an expensive building project was disturbing to donors who learned of this. Three years passed. In a US federal court hearing with plaintiffs Garland and Phyllis Murphy versus GFA defendants, a new and surprising revelation came to light. The $19.8 million for the US building project did not come from India – it came from Canada! The court hearing took place on May 16, 2017. On Pg. 32 of the hearing transcript, Judge Timothy Brooks referred to the $20 million that came from GFA-India and the plaintiff’s claim that this money was donor restricted, diverted away from donor’s intents, without donor’s knowledge, and was therefore used fraudulently. The documents – – your Honor, this gets a little complicated, but the documents we have provided to the plaintiffs show that the $20 million did not come from any US donors. This was $20 million that GFA-India had. It was their money. It was sitting in an account in Canada. There were Canadian donors who had given this money to GFA-India to be used in various purposes. GFA-India directed that money to be given for the campus and then GFA-India fulfilled requests, the specific requests from internal money in GFA-India to replenish the Canadian account. The bottom line here is that – – and I don’t know if the Court followed that but the bottom line here is that none of the $20 million came from any US donors. Well, it says in the second sentence that GFA staff confirmed that the funds relating to this donation were originally received by GFA as gifts restricted for the field. Thus, Mr. Mowrey attempted to avoid allegations of fraud by saying that US-donor money was not used to help fund the new GFA head office. The judge did not agree and contended that even if the $20 million came from Canadian donor-restricted funds they were still – donor restricted! In other words, fraudulent use by GFA-US of Canadian funds was equally as fraudulent as if the money came from US donors. For the judge, the country of origin was not an issue. As incredible as it seems, the lawyer for GFA implied that GFA-US did not defraud US donors, only Canadian donors – as if to say Canadian donors didn’t matter – it’s OK to cheat Canadians! It is amazing beyond words that unsuspecting Canadians gave close to $20 million USD to help build an elaborate GFA complex in the USA, all the while believing their donations were spent in India. The idea that GFA-India money sent from Canada was later replenished by GFA-India in India is absurd. Why not send the money to the US directly from India in the first place? Even if GFA did replenish the Canadian fund, it would still mean that Canadian donor money was not used as donors intended. On page 62, reference is made to GFA’s Indian bank account. Deposits to this account were made from GFA-Canada’s main bank account at a Royal Bank of Canada (RBC) in Hamilton, Ontario, and from there large sums were transferred into an “Indian account” which, in fact, was not located in India, but was actually just a separate account in the same RBC bank. GFA falsely led donors to believe that their donations had gone to India and were used for the reasons the gifts were given. The truth was exactly opposite to their claim – the money was still in Canada. Also on page 62 of the transcript, reference is made to a letter sent by David Carroll from GFA-US to Sarah Billings of the RBC in Hamilton, requesting that she transfer $20 million from GFA’s Indian account to GFA’s head office in the US. On page 63, Mark. Stanley, lawyer for the plaintiffs, referred to a document showing that this money was received at the GFA head office in Texas. This is the first year that GFA entities in India reported receiving money from Canada. For the year that ended 12/31/2015, GFA-Canada stated on their T-3010 Canada Revenue Agency (CRA) 2015 Registered Charity Information Return, that they sent $11,105,054 to India. However, the amount reported as received by GFA entities in India from Canada for the period is vastly different – approximately three times the amount. Such discrepancies are common practice for GFA. The following year GFA-Canada, on their 2016 T-3010 Registered Charity Information Return, did not report to the CRA the huge $70,549,099 that was sent to India. They made no mention of their secret Little Hills Corporation. To say the least, their misstatements to the Canadian and Indian authorities are startling. In a recent article in the Christian Post, Francis Chan defended Gospel For Asia against allegations of fraud due to misappropriation of finances. I have great respect for this man of God. He is a gifted Bible expositor and motivator to love and good works. Bible study groups in my church use his study materials and benefit greatly from them. I described to an elder in my church the position Francis Chan has taken regarding GFA. He thought for a moment and then spoke of the gifts of the Spirit as described in the New Testament, comparing ministry gifts to gifts of administration. He indicated that there is no doubt that Francis Chan is a gifted minister but added that this does not mean he has the same strength when it comes to functions of administration. Discerning the true nature of GFA’s troubling practices, particularly those by KP Yohannan, cannot be made by one whose eyes are blinded to key facts, regardless of the esteem in which that person is held for other reasons. I spent three weeks as a guest of GFA in India. I spoke in Kerala at their seminary and later to their head office staff. I toured with some of their leaders and spoke at their Bible training centre and at some of their churches in Tamil Nadu. I travelled to Sri Lanka to speak at their Bible training centre in that country. My daughter, Sharlene, attended the GFA seminary in Kerala for two years and graduated with a bachelor’s degree in the year 2000. 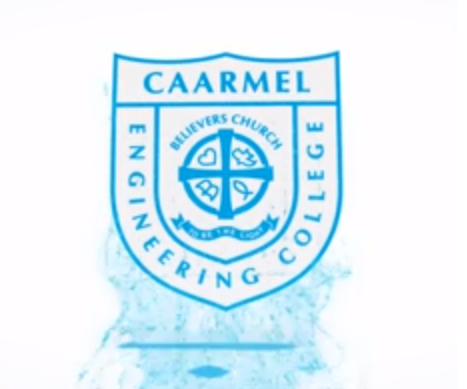 The teaching staff were well qualified and spiritually minded Sharlene, along with two others, were the first students from the West to attend the seminary. Prior to this she served as a volunteer at GFA’s head office in Dallas, TX, for six months and after graduation she worked at GFA’s Canadian office. My church supported GFA for twenty years. Nothing in our experience indicated that anything was wrong. I was a strong supporter of GFA and an avid advocate of their ministry encouraging others to support them. As far as I knew there was every reason to applaud voices such as Francis Chan’s in endorsing GFA. However, the day came when I began to learn that things might not be what I had thought they were. I began to enquire. In Canada, GFA India has a bank account owned and controlled by them. When all field donations come into our Canadian office, they are entered according to donor and designation preference by our staff at GFA Canada, and then deposited into the same bank account in Canada controlled by GFA-India. So once the funds are deposited into that account, they are considered received on the mission field and available to the field immediately. That money deposited in a Canadian bank was considered to be “on the field” was both surprising and alarming. The full impact of this did not become apparent until the Murphy v. GFA court hearings took place and until GFA entities in India reported their 2015 and 2016 foreign incomes. “Love covers a multitude of sins” (1 Peter 4:8) is wonderfully true. It is also true that, “Love does not delight in evil but rejoices with the truth” (1Corinthians 4:6). Essential to true love is a love of truth, and valid discernment cannot be devoid of truth. The truth of GFA’s deceptive financial practices as evidenced by its use of Canadian donor money is but one example of a much greater picture that remains hidden from the view of many due to repeated denials of the truth. I pray that someday soon this will end. When the recent court settlement says that all moneys sent “to the field” were used on the field, it doesn’t mean much when “the field” is this loosely defined. Donors still need to be wary. Francis Chan is a superstar pastor who has a franchise called Crazy Love™. There is a Crazy Love book, study guide, website, ministries (plural) and store where you can “shop now” for all of Chan’s books. Like all superstars, he also has a church planting network. We used to call them denominations. His is called We Are Church. He is pretty cool. Anyway, he is also a board member of Gospel for Asia. That has always confused me because GFA hasn’t had such a cool recent history. But Francis Chan thinks everything is fine. In fact, he is out saying that GFA hasn’t done anything wrong, telling Christian Post that he researched the matter with a trusted friend and found nothing wrong with GFA’s finances. I have written Francis Chan in the past and he first had his Crazy Love assistant Chaz answer me. When Chaz didn’t actually answer the question I asked, I wrote back but Crazy Love stopped responding. In response to Francis Chan’s statement about GFA, I still have some questions. Maybe someone at We Are Church or Crazy Love will tell someone who will tell someone who can ask Francis Chan about it. One, if there were no financial problems at GFA, then why did Evangelical Council for Financial Accountability take the rare step of evicting the organization from membership? In case you didn’t read the report, you can read all about it here. Chaz can print out a copy for you. Two, why did a federal judge appoint a special master to oversee GFA during Murphy v. GFA? I think you know the answer. GFA couldn’t verify their expenses and the judge had given the leaders months to do so. Being sanctioned by a federal judge isn’t a sign of an honest broker. 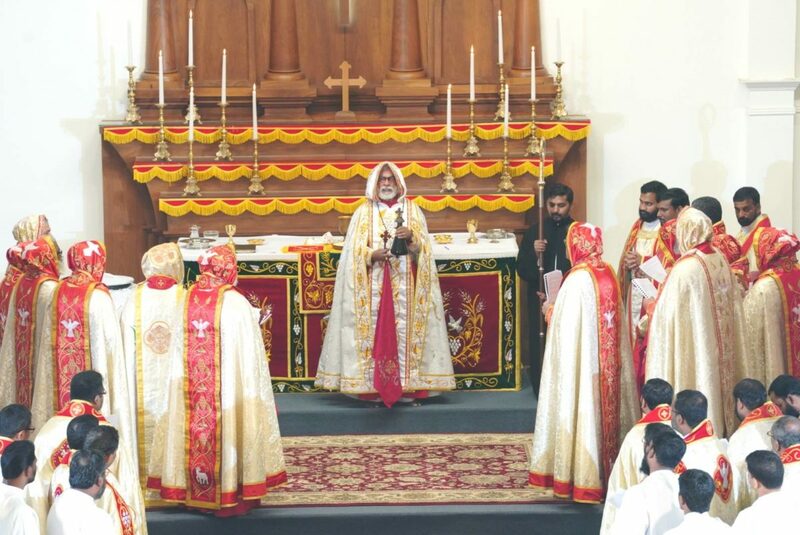 Three, why does His Eminence The Most Reverence Metropolitan Dr. K.P. 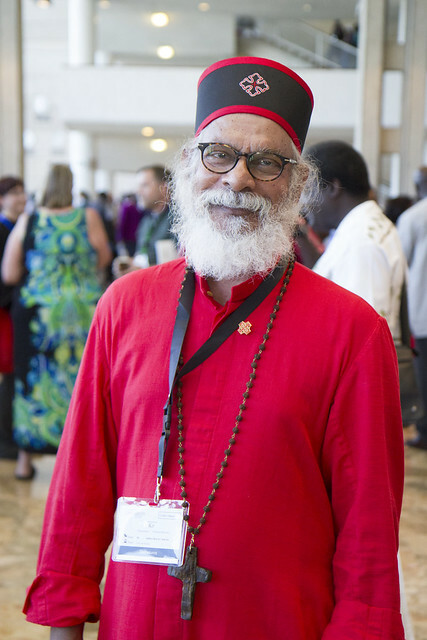 Yohannan need to have a personal fortune when he is the supreme Metropolitan of Believers’ Church in Asia? You looked at his tax returns in the U.S. but did you consider the vast wealth of Believers’ Church in Asia? How does being the patron of a state of the art medical center and medical college in India figure into one’s empire? Why does the church need a soccer team? What needs or wants are not met when the church supplies everything due to your position as supreme temporal and spiritual authority? Four, why did GFA cover up the transfer of $20-million from Canada to India to the U.S. for the completion of the Texas headquarters? I assume you’ve been to the compound. I hear it is pretty nice. You probably wouldn’t need a big income if you have everything you need provided for you by donors who think their money is going to evangelism and poor children in Asia. Five, why hasn’t GFA told donors that Believers’ Church and GFA lost registration as a charity in India? When Compassion International lost their registration, it made the New York Times. When it happened to GFA, GFA told several different false stories. It still isn’t clear how funds are getting into India, if they are getting in at all. I have more questions but that should do for now. As a board member, you will be busy meeting your two new colleagues, Garland Murphy and whoever he helps chose to take Gisela’s place. Also, you all are going to have to raise the $37-million for the settlement. Since a lien will be on the Texas headquarters, you will be really busy raising money to pay the $11-million you can’t get from “the field.” Probably, raising $11-million to pay a court settlement is really going to keep the board busy. Donors might be a little skeptical of an organization raising money to pay former donors who settled a RICO suit. P.S. In case you haven’t read the Murphy v. GFA settlement, it is here. I wonder if they kept the same secret handshake and hand kissing ceremony. Mor in Syriac is a title of Lordship or sainthood. Various eastern churches use Mor and/or Moran in titles of religious leaders and Believers’ Church has followed the pattern. Whatever he is called, he will still have to face a class action RICO suit in federal court and perhaps more over the next year or so as various cases and investigations progress in the U.S. and perhaps in Canada. A month ago, I asked Gospel for Asia how they planned to distribute donor funds to flood victims in Kerala, India. 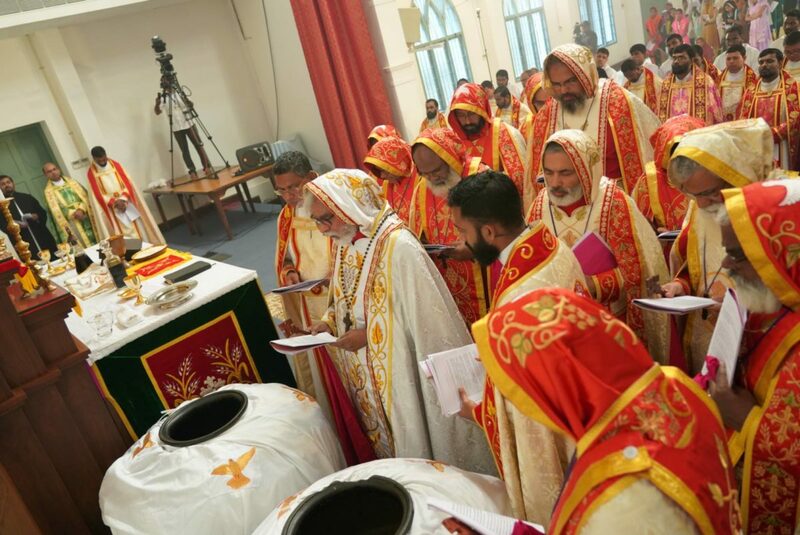 In 2017, Gospel for Asia’s comparable organization in India (now called Ayana Charitable Trust) and their ecclesiastical arm (Believer’s Church) lost registration with the Indian government to accept foreign contributions. Thus, these groups can’t accept any of the funds now being raised by K.P. Yohannan from foreign donors. GFA very deliberately is raising these funds on the organization website and on social media. If GFA is giving these funds to another nonprofit in India, why can’t GFA simply inform the donor public about this? GFA has headquarters in Kerala, India. Volunteers are actively rescuing, feeding those affected by flooding and providing other supplies. However, InChrist Communications did not respond when I asked how those headquarters could accept funds when the registration to accept foreign funds had been revoked. The later a friend of the blog was told that funds were being sent to Believers’ Church in India. Furthermore, the GFA representative said it could not be guaranteed that the donated funds would actually get to flood victims since GFA has no control over Believers’ Church. Actually, this explanation doesn’t make sense because Believers’ Church cannot legally accept foreign contributions. When Compassion International lost their registration with the Indian government, they left the country. GFA has never addressed their loss of registration, nor why they continue to raise funds to send to India when the organizations they claim to support can’t take them. This is an issue for more than flood support. GFA has continued to raise support for sponsored children, missionaries, and all sorts of activities. GFA is telling the public they are doing something that the Indian government says can’t be done. If GFA is getting donor funds to the intended targets, GFA should disclose how they are doing that. It is a mystery to me why investigative reporters have not taken up this issue. If there is an easy way around this issue, then why didn’t Compassion International use it? While there may an explanation, given GFA’s size and current legal difficulties, it seems like they should have to be more accountable. Dear Gospel for Asia: How Will Funds Raised for Kerala Flood Victims Get to Them? 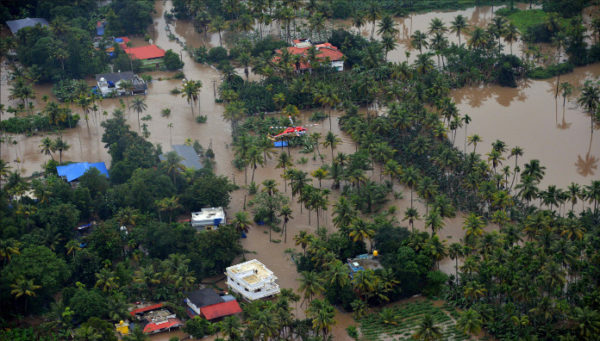 Over the past week, the news out of the state of Kerala in India has been devastating. Due to severe flooding, over 400 are dead and 800,000 have been displaced. Sadly, those numbers are expected to climb. Of course, the natural impulse is to help. Kerala is the home of K.P. Yohannan, Gospel for Asia (now called Ayana Charitable Trust in India), and Believers’ Church. While it is understandable that K.P. has been informing his followers about what is happening there, he is also doing something that raises a question: K.P. is raising foreign donations to send to flood victims. The question is how will those funds get to flood victims? In 2017, the government of India canceled the registration of Gospel for Asia (Ayana Charitable Trust), Believers’ Church India, and two other affiliated organizations to receive foreign donations. Yohannan is raising money but it isn’t clear how those funds will get to flood victims when the Indian organizations he fronts can’t receive them? I wrote back to ask how GFA in Kerala could receive those funds since the Indian government had canceled the organization’s FCRA registration. He did not answer. Earlier in the day a source called GFA in Wills Point, TX on behalf of my blog and asked how American donations could be accepted in India since the FCRA registrations had been canceled. The caller was told that GFA still is able to operate in India, but the license to receive money is with Believers Eastern Church. The GFA representative said that the funds given to GFA are sent to Believers Church. He added that GFA and Believers’ Church are technically and legally different entities. GFA cannot guarantee money given for India disaster relief will be used for that purpose through Believers’ Church because GFA has no legal or ultimate authority over Believers’ Church. Money given to GFA is preferenced by donors for a certain purpose and Believers’ Church in practice uses the money for what it is preferenced for. Leaving aside the uncertainty that the Believers’ Church might not use the funds as intended, GFA’s answer doesn’t match what the Indian government says. As I will demonstrate below, the registrations for GFA (Ayana Charitable Trust), Believers’ Church, and two other GFA affiliated organizations were canceled in 2017. The question remains – how will American funds get to flood victims since GFA and Believers’ Church are unable to receive foreign contributions? Maybe there is an answer to this question, but GFA hasn’t provided one that fits with information available to the public. In India, a charity must be registered with the government to receive foreign donations. There are rigorous reporting requirements as specified by the Foreign Contribution Regulation Act (FCRA) and the records are available to the world via the Home Ministry’s website. In fact, those records prompted the early questions about Gospel for Asia’s finances that eventually led to GFA being removed from membership in the Evangelical Council for Financial Accountability. The FCRA rules are clear that only registered organizations can receive foreign donations (click here for a larger image). Among other conditions, the rules (Q.2b) state that an organization “must obtain the FCRA registration/prior permission from the Central Government.” In contrast, Q.3i specifies that “individuals or associations who have been prohibited from receiving foreign contributions” cannot receive them. To determine organizations which have been canceled, one can go to the India’s Home Ministry website and scroll down to the FCRA link. On that site, there is a link near the bottom left which reads: List of Associations whose registration has been cancelled. If you click through, you will need to select the state of Kerala. Once you do that, you will see Ayana Charitable Trust at the top of the list. Scrolling down you will soon encounter Believers’ Church India and Love India Ministries and Last Hour Ministries. Here are screen caps of Ayana Charitable Trust (formerly GFA-India), Believers’ Church, Love India Ministries, and Last Hour Ministries on the canceled list). Since the very organizations which GFA and GFA’s PR representative said will take the money can’t do so, it is a fair and significant question to ask how donations intended for flood victims will get to them. So far, GFA has not provided a satisfactory answer or provided evidence that the Indian government is wrong. Donors should demand more. For more on the impact of the revocation of registration to receive foreign funds in India, see this article on Compassion International. When the Indian government canceled their registration to receive foreign donations, they left India. Author Warren ThrockmortonPosted on August 21, 2018 August 21, 2018 Categories Believers Church, David Carroll, Gospel for Asia, K.P. YohannanTags Ayana Charitable Trust, Believers' Church, Gospel for Asia, KP Yohannan7 Comments on Dear Gospel for Asia: How Will Funds Raised for Kerala Flood Victims Get to Them?